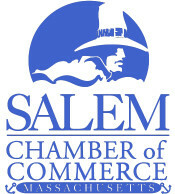 Join the Salem Chamber of Commerce in their home office​ for a Coffee Connection Networking event where you will have the opportunity to meet the new Assistant Director, Jeff Swartz. Coffee Connections are designed to foster networking opportunities between local business leaders and provide ample time for discussions. They are a great way to reconnect with old acquaintances and build new ones.